What a difference a day makes. From Saturday's sunny, warm day to today's cloudy, windy and cold conditions. 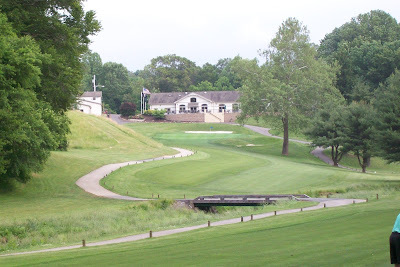 But I need the practice, so I headed to the practice range at Bensalem Township Country Club late this afternoon. I ordered a small bucket, which had 45 balls, and took a spot on the sparsely populated range. Due to the conditions and the lateness, I only brought two clubs and a putter with me. 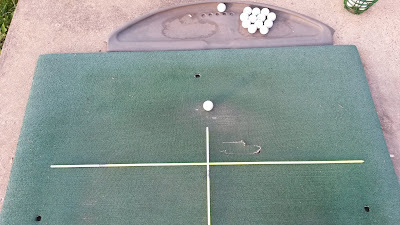 I started my session with some light stretching, then placed an alignment stick on the mat. I hit 20 lob wedges and 20 9-woods, before finishing off that part of my practice with five more wedges. I hit the ball okay, but not as well as I did yesterday. I experimented with the 9-wood to see if it is something I want to put in my bag this season. The jury is still out on that decision. From the range I walked down to the practice putting green, where I spent about 45 minutes hitting putts using The Big Putt (see video below), which is an oversized ball that has the same weight as a regular golf ball. The theory is after putting with the larger ball, the hole will seem much bigger when putting with a regulation golf ball. I wasn't as worried about making my putts as I was about just getting a feel for putting a golf ball. 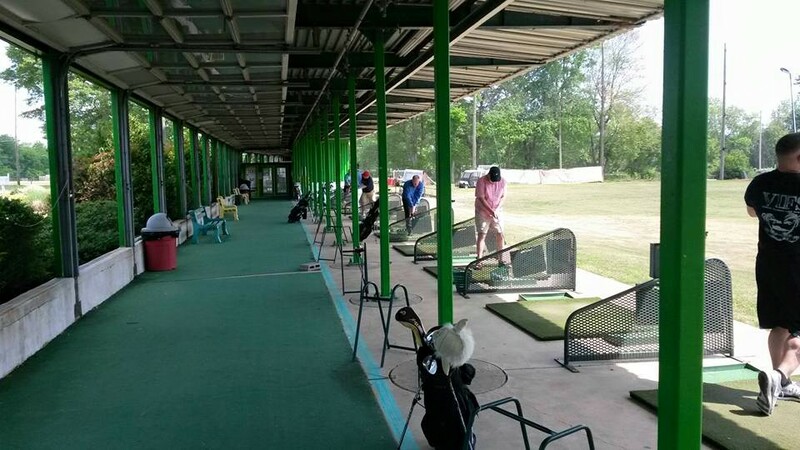 I am hoping to get at least one more practice session in this week. If I can do that, I feel at least I will ready to play in the golf outing on Friday. With my first round of golf less than a week away, it was time to get some serious prep underway. 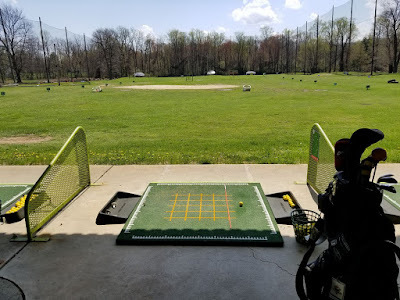 Under glorious sunshine, and with temps in the 70s, I got my first practice session in at the Mad Golfer Golf Club in Southampton, Pa. 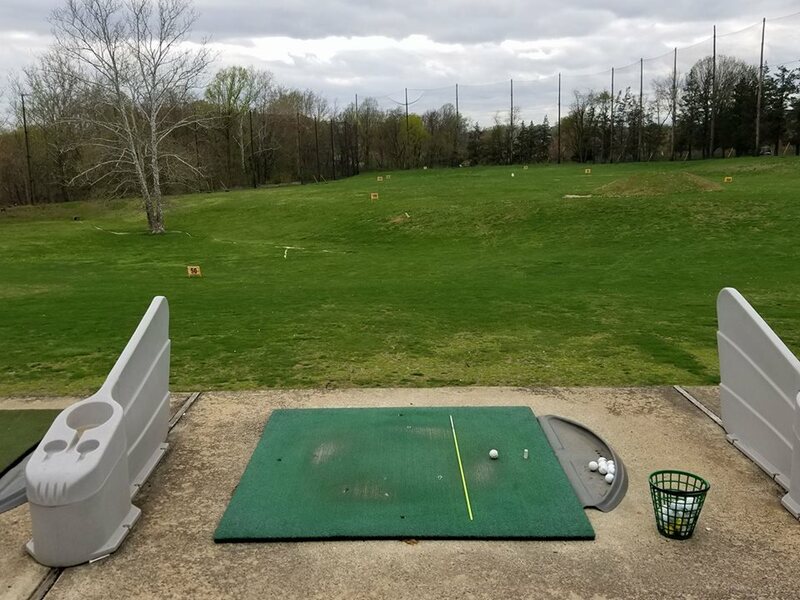 The Mad Golfer's practice range is where I conditioned myself last September to return to the links after my heart surgery in March 2017. Since today was the first practice session, it was more important to focus on the muscle memory of my swing than it was to work on any specific swing mechanics. With this in mind, I hit a large bucket of 63 balls. I felt a small would not be enough and a jumbo could possibly be pushing it so early. 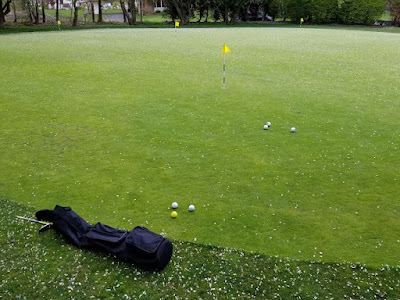 After warming up with several stretches and swing with my Orange Whip, I hit 10 shots a piece with my Wilson Staff PMP wedges, Ci Gap Wedge, and Ci7 Pitching Wedge and 9-iron. 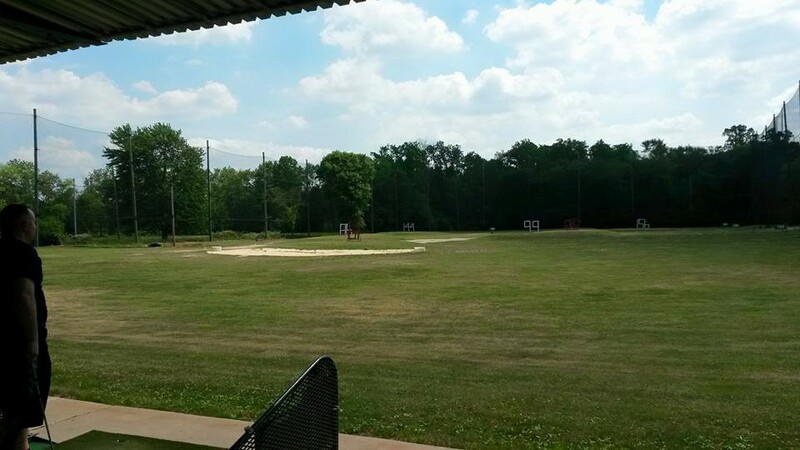 I finished up with eight balls struck with my Alpha Rx 6-Hybrid and five with my Golfsmith Big Gun 7-Wood. Again, my focus was not where I hit the ball, it was getting a feel for swinging the golf club with a fluid rhythm and making solid contact. 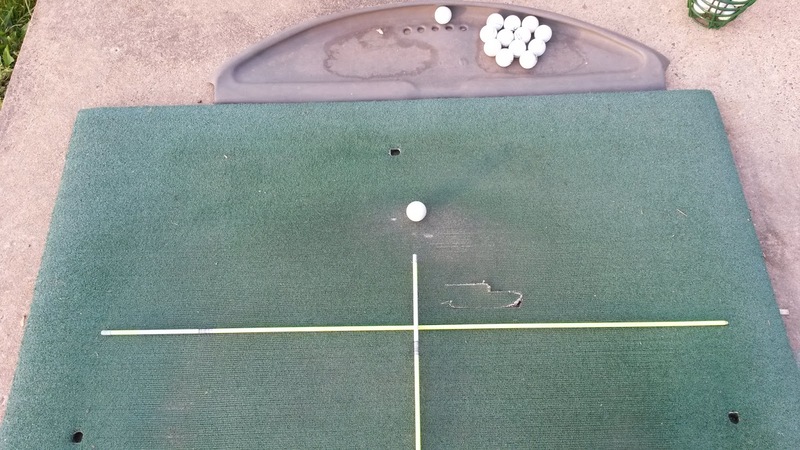 I did use an alignment stick to help with my setup. Overall, I was pleased my first practice session. Despite only playing three times late last season, my swing did not feel awkward; not in mid-season form, but better than I expected. 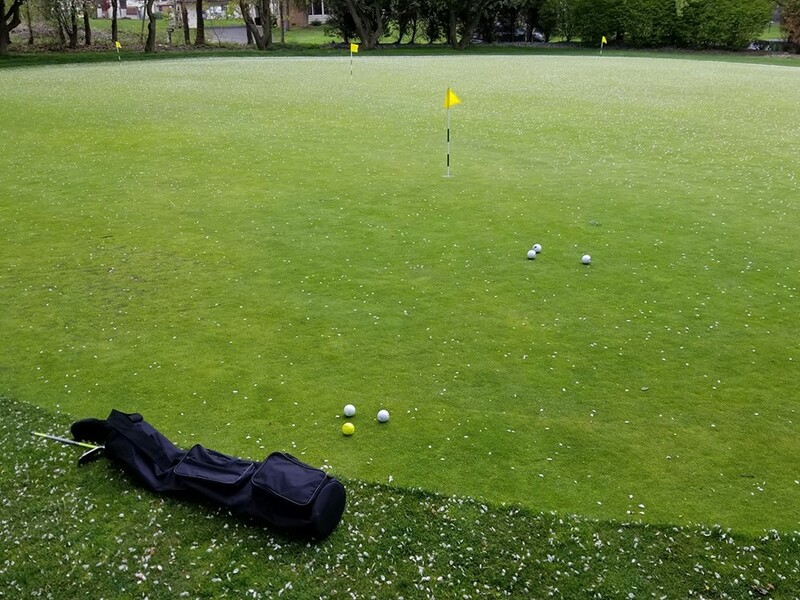 My next practice session will concentrate on putting, along with some more work on swing. While I realize I still have plenty of work to do, I think I should ready to play on May 4th. The Season is in Sight! 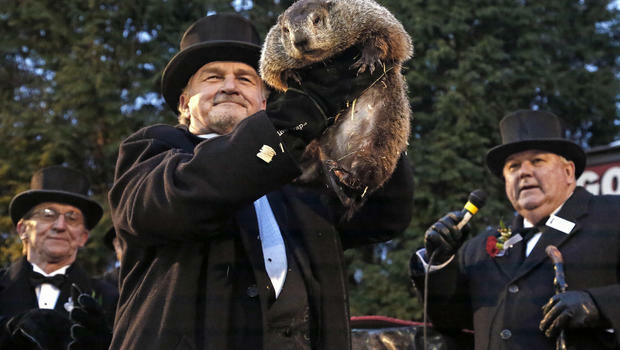 Punxsutawney Phil's prediction of six more weeks of winter turned out to be nearly double as the calendar approaches May. The calendar says it is late April and spring-like weather is finally here, which means golf is finally an option in the Northeastern part of the U.S. So far, my golf has been limited to watching the professional tours on TV. But that all changed this afternoon when I was invited to play in a golf outing May 4th at Paxon Hollow Golf Club. My golf season now has an official starting date. It also means that I have to get in some practice in the next eight days. Practice range here I come! Because I face a short time to prepare, I will draw up a practice plan in which I will focus on hitting wedges and short irons, as well as putting, since the short game constitutes nearly two-thirds of all strokes during a round. I will hit a few drivers and fairway woods, of course, to stretch out my swing, but mostly I want to establish a swing rhythm. So May 4th is circled on the calendar. The start of the season is finally here. I can hardly wait to put that first tee into the ground!